Companies can typically subtract foreign levies from their income tax. But a hyper-technical IRS decision puts that rule, and investment abroad, at risk. The Supreme Court is taking the case, getting a rare chance to tell federal pencil pushers that form doesn’t trump substance. 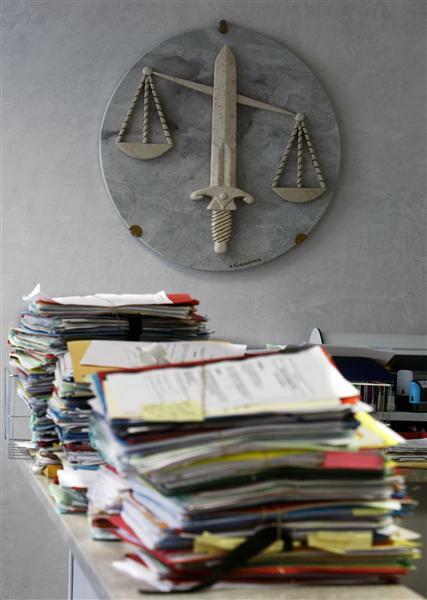 The symbol of Justice, with the sword and the scales, is seen in a lawyers cabinet in Nice, southeastern France, October 9, 2009. The U.S. Supreme Court on Oct. 29 agreed to hear an appeal of an Internal Revenue Service ruling that PPL Corp, a Pennsylvania-based utility and energy holding company, cannot offset its income taxes with an assessment paid to Britain. A victory for the IRS would give it more power to stop American companies from claiming a tax credit for foreign levies that might not technically meet the agency’s definition of an income tax but, in substance, are based on a company’s income. At stake are potentially trillions of foreign tax credits granted U.S. companies every year. PPL is appealing a December 2011 decision by the U.S. Court of Appeals in Philadelphia favoring the IRS. The U.S. Tax Court had ruled for PPL, and another federal appellate court agreed with the company’s position in a separate case involving a different firm.